Mobile phones have come a long way from their humble beginnings. Back in the day, they were just a simple wireless audio receiving and transmitting devices with an option to exchange text messages. More than 40 years after the introduction of the first mobile phone, they have become full-fledged computers. Most of you may not be surprised about what we just said, but we will clarify that a little bit for the ones who were. The smartphone you carry around with you and use all the time is basically a small desktop computer that fits right into your pocket. It has a processor, memory, display, storage, power source, graphics card, audio and wireless capabilities. Your conventional desktop PCs have all of these peripherals but packed in a slightly different way and form factor. Even the smartphone screens are almost identical if not better than the ones you can find in your desktop PCs and your phone’s processors are similar to ones in entry-level PCs. More than 7 years ago, late Apple co-founder Steve Jobs said that PCs are going to be like trucks. He compared tablets to a traditional computer as you would compare a car to a truck. He was insisting that PCs are going to be used only for heavy duty work and tablets or smartphones for everything else. Furthermore, those predictions are proven to be correct. We believe that in next couple of years all heavy liftings will be done also on our smartphones. Some people are already there, they are using smartphones now as their daily workstations. Given that many software companies are focusing less and less on the PC market in certain business areas and more and more on the mobile market, a lot of what we do now will be mostly done on our smartphones in the future. You must have said at least once that famous saying “I’ll take care of it when I get back to the office” while you were talking on your smartphone? Right there you made a big mistake. Why should you wait until you get to the office when you have a powerful little tool that can accomplish virtually every laptop or desktop task? With the right apps installed, the sky is the limit and sunny beach or tropical bar could become your office. Of course, there are situations where desktop computers would be more convenient option to use, for example, when you need a big screen so you could fit huge spreadsheets with hundreds of rows and columns or for filling long forms, as well as manipulating big graphics and images. Also, any keyboard-intensive work is better to be performed on your desktop computer. The point is that in all of the above-mentioned situations your smartphone can be used but it would be a less convenient option and without having an access to heavy duty computer it would work just fine. So yes, this pocket-sized marvel can become your fully-sized, virtual office that is right at your fingertips. The secret sauce is obviously finding and having the perfect set of apps that will fulfill your specific needs. Just like you can cut costs by sending electronic bills to your customers, you can also save a lot of time and money by unlocking the full potential of your smartphone. 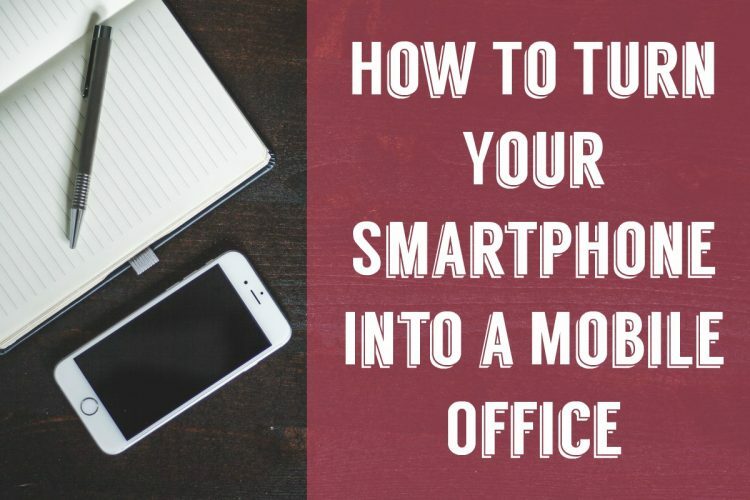 In order to do that we are going to offer you some useful tips and tricks on how to establish and use your phone as a virtual office that is going to be with you all day and all night. Some great ideas come to your mind while driving? You remembered something you have to do while commuting to work by subway? No problem, with Evernote all your ideas, thoughts and chores can be elegantly organized and accessible across all your devices. The app will change the way you organize your life. You can take notes in various formats like sketches, photos, plain text, videos, PDFs and more. The app allows you to create collaborative notes so you can exchange ideas with your colleagues and you can also annotate documents with comments and thoughts during team meetings. With this app, you won’t need to search anymore for that piece of paper with an important name or number on it. You can use your smartphone as a voice recorder to record and playback important meetings or your thoughts. Most of today’s smartphones come with a built-in recording app, but they often lack some very useful features. That’s why we would recommend using some specifically developed voice recording apps like Voice Recorder & Audio Editor. This app allows you to have unlimited recordings, well, at least until you run out of your memory. 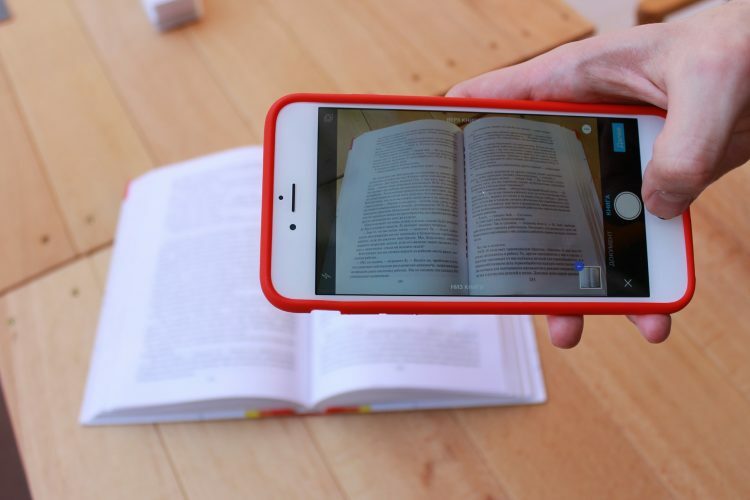 The key feature of the app lays in its ability to transcribe recordings into text using speech-to-text technology and notes can also be added to your recordings. All recordings can be easily shared and the app supports most of the popular cloud services so recordings can be accessed from all your devices. If we need to choose one app for all the available Microsoft apps that would be MS Word. It is the best offering from Microsoft and the app is full of useful text editing features, almost like its desktop version. With the recent updates to the app, Word documents look even better than they used to. You can easily create or edit documents which will then look exactly how you wanted across PC, Mac, tablet, and phone. The app supports collaborative work so you and your colleagues can work on the same document from different locations. We would also mention that the app has rich formatting options like fonts, pictures, tables, charts, text boxes, shapes, footnotes, page layout and more. With the MS Excel app, documents can also be created from scratch, but some of the familiar functions are missing. For example, most of the formulas have to be manually inputted which will be a problem for people who don’t know their excel formulas by heart. Formatting options include changing the color of the text and highlighting it. The app can automatically turn data into currency, date, percentages or standard text and numbers. Cells can be viewed, frozen, text can be wrapped and comments can be made. There are also viewing options like filtering or sorting columns, searching for a specific text or viewing the document in outline format. With the MS PowerPoint, beautiful presentations can be created in a matter of minutes, right on your mobile device. Images, tables, charts, SmartArt, transitions, animations are all there and accessible. The app supports rich formatting, such as fonts, pictures, tables, text boxes, shapes, transitions, animations, speaker notes and more. Like in the other MS apps, the collaborative feature is supported as well. You can also project your presentation on a big screen using AirPlay and Apple Watch can be used for going through slides. So next time you forgot to create that presentation, you can easily do it on your daily commute to work. It is important to mention that all the apps have a cloud storage support so your documents can easily be accessed through popular cloud services like OneDrive, Dropbox and iCloud. When you own a small business you have to be accessible all the time, wherever you are. Moreover, if you want to set a good example for your business, for instance, by going paperless, then all your documents should be in electronic form. That brings a lot of advantages, such as saving the environment or reducing the clunk in your offices. For security reasons, all your documents should and probably will be in PDF form so editing them without a powerful PDF converting software will be difficult. PDF converters are just one option for editing your PDFs. There are a lot of great desktop software, but if you happen to be away from the office, you will have to use one of the mobile PDF converter apps. One app that has given us great and accurate results with fast conversion times is PDF Converter Ultimate. The app allows you to convert PDFs to more than 20 popular file formats and vice versa. Since it uses market leading OCR technology, converting scanned documents should not be a problem. All the conversions are securely done online so the app is light on your device (only 4MB) and won’t drain your device’s battery. If your company wants to go green, reduce paper usage and also save some money in the process, you probably have a lot of dusty boxes full of old documents that need to be digitalized and for that, you will need a powerful scanner. But what to do in case you are nowhere near the office? We suggest using some of the powerful mobile scanner apps like Genius Scan. So the next time you sign some documents, you will just have to take your phone from your pocket, open the app and take a picture. It is that easy. The app has some cool features like smart page detection, perspective correction, and image enhancement. You can even use batch scanning to scan multiple pages in no time. All scans can be shared via email or archived to Dropbox and other cloud services. They can also be saved as JPEG or PDF and there is an option to choose between black & white or color scans. This app is a perfect complementary app to PDF Converter Ultimate we mentioned before. Here are some possible scenarios where the app can be used: for scanning receipts and tracking your expenses, scanning important legal documents, notes, business cards, batch scanning, organizing your scans and other everyday business stuff. The one person you can’t live without is your assistant. He/she knows where everything is and the way the system works. He/she manages your calendar, sets up your meetings, phone calls and makes sure that your important documents are well organized and easy to find. Remember when we said a person you can’t live without? Well, he/she can also be it. With constant improvements of our smartphone hardware, the software improves as well. Now every major company and the mobile operating system has its own AI (artificial intelligence), the assistant. Apple has Siri, Microsoft has Cortana, Googles has Google Assistant and Amazon has Alexa. All of them can in some way or another replace your actual assistant and save you money. They can make quick phone calls for you, send text messages, set reminders, calendar events, play music, check weather information, navigate you to places, play music and even take selfies. Some of them can also tell you what song is playing, what are good restaurants near you, control your smart home and even be engaged in the conversation. Back in a day, it was a mess when you urgently needed some documents from your office. They had to be sent via fax machine and there were situations where you found yourself nowhere near one. With the introduction of the cloud storage services, our lives suddenly become a lot easier. All of our documents can now be stored in the cloud and be accessible in a matter of seconds on any device. Furthermore, we can create collaborative documents and work in real time with our colleagues who are at different locations across the globe. 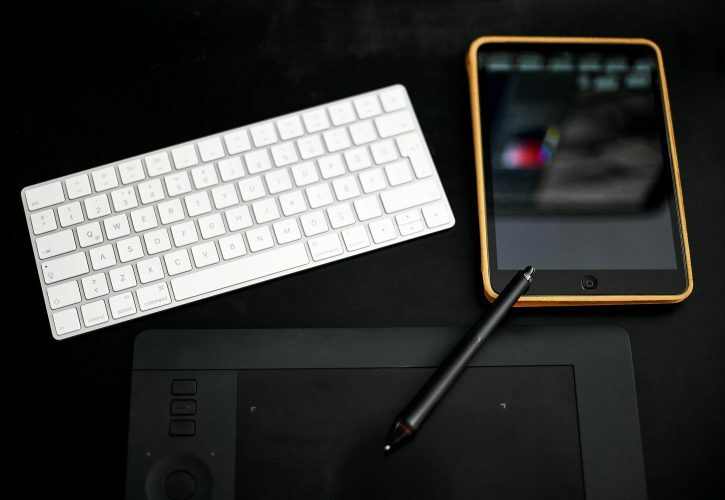 The most popular cloud services are Dropbox, iCloud, Google Drive, and OneDrive and all of them have similar features and work with previously mentioned document converting, scanning and note-taking apps. Smartphones in the workplace are often seen as a distraction. We understand that employers don’t want their personal waste precious time on reading news, playing games, watching videos or scrolling through social media. We believe that in this article we made some great points on how our smartphones can be successfully incorporated into the work environment, improving productivity and internal communication. Some great apps have been featured which can and will make your life a little bit easier. Independent business owners are the ones that are the most affected by long working hours and they never have time for themselves, so with a help of these apps that could be a thing of a past.